The best looking Fiat Bambina ever! 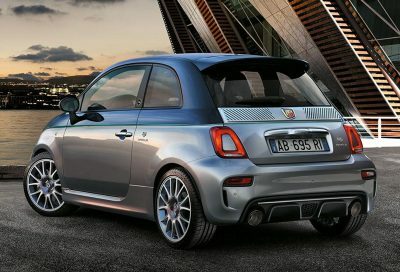 Fiat/Abarth has a new Abarth 695 Rivale fashion statement and it really is an eye-catching and fun little car. The Abarth 695 Rivale was born out of a respect for what both Abarth and Riva achieved. It’s a special series that combines tradition and innovation of two legends from Italian racing and manufacturing. Carlo Abarth and Carlo Riva, timeless legends of the track and the sea, both held multiple international records and had seasons of magnificent victories. It is these two legendary journeys that have blended and inspired the design of the racy little 695 Rivale. So, Riva manufactures posh boats, and it’s their input that adds an extra topping of style and luxury that you won’t find anywhere else in the Fiat or Abarth stables. Interior trimmings can either be carbon fibre or a beautiful Riva wood finishing across the dash. The nautical blue interior is like nothing else on earth – in a nice way, so there is no doubt you’ll stand out from the crowd – again in a good way. Apple CarPlay and Android Auto feature in the central dash touchscreen. Satellite navigation ensures you don’t miss any vital turns on a brisk run through the countryside, and there are plenty of good safety features on-board. Other special features include: Blue 695 Rivale embossed leather seats, mahogany door sill trims and dashboard cover, a snazzy dedicated Rivale instrument cluster and premium Xenon headlights. 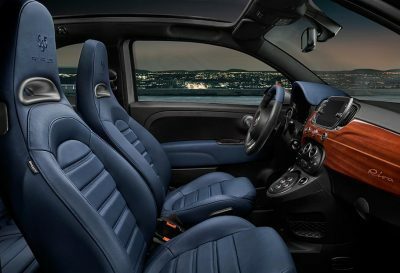 What the brand new Abarth 695 Rivale offers the buyer is a harmonious combination of sophistication and performance. Boasting dazzling design and potent performance, the new 695 Rivale is a thrilling drive. It’s not all about cubic engine volume but it is about a fizzing, engaging small turbo power-plant inside a car that has low weight and small dimensions – the perfect recipe for driving fun. And this sort of fun doesn’t punish you at the pump like the bigger brawnier Alfas, Lamborghinis and Ferraris will. So, it’s a 1.4 T-JET engine that packs 132 kW @ 5500 rpm. The engine’s response is immediate and the motor is an inline 4-cylinder with 4 valves per cylinder. The very healthy 250 Nm of torque is at full flow in the mid-range of 3000 rpm. There are two options for getting this power down onto the road. A five-speed manual transmission is great fun for those who love the slick feeling of selecting the gears yourself. The 5-speed robotised sequential gearbox takes things up a notch and is all you really need in this game. Stats put the Abarth 695 Rivale capable of running through the 0-100 km/h sprint in less than seven seconds, while the top speed is around 225 km/h. New sporty features that the Abarth 695 Rivale has are things like a special Akrapovic exhaust system with carbon tips, a BMC High Performance filter, a lowered Sport suspension, KONI shock absorbers with Frequency Selective Damping, saucy 17-inch alloys and big Brembo brakes. In Sport mode the dampers get tighter, the steering gets heavier and the engine response is more responsive than ever, so it is so much fun to drive playfully. Manual transmission models get the Mechanical Limited Slip Differential, so grip levels are stunning and bring grins by the truckload. Production numbers for the Abarth 695 Rivale models will top 300, of which 175 will be hard tops and 175 cabriolets. Do the maths and make sure you don’t miss out on purchasing one of these special cars. 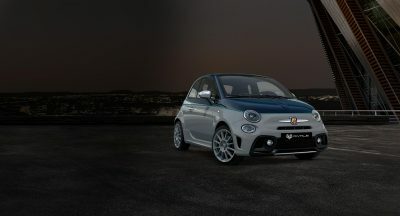 For any more information on the new Abarth 695 Rivale models or, for that matter, any other new car, contact one of our friendly consultants on 1300 303 181. If you’d like some fleet discount pricing (yes even for private buyers! ), we can submit vehicle quote requests out to our national network of Fiat and Abarth dealers and come back with pricing within 24 hours. Private Fleet – car buying made easy!